SEPTEMBER 30th SUNDAY AFTERNOON game for the Browns vs Raiders, who we have played since 2015. 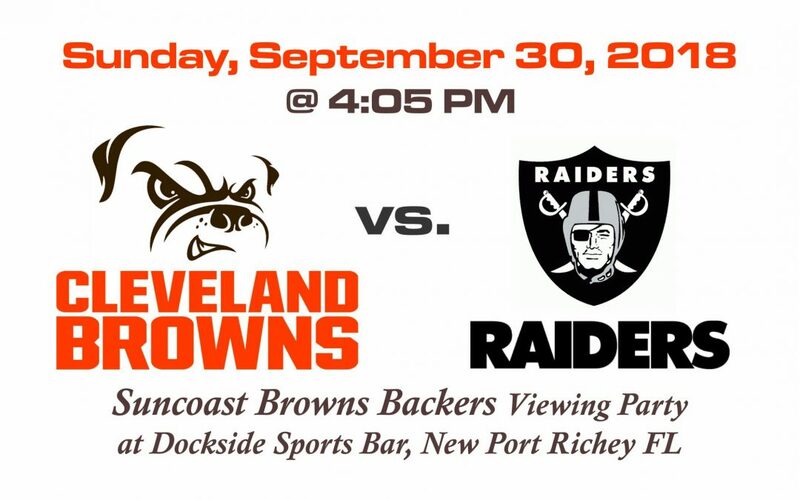 As usual, the Suncoast Browns Backers will be in the Suncoast Dawg Pound at Dockside Grille for our viewing party, which starts at 4:00 PM this week. GO BROWNS!